Early on in my pregnancy I knew that I was going to have to carry my son a lot as we live in Brooklyn, and strollers aren’t always the most efficient mode of transportation. Pushing a stroller through snow banks only to find yourself carrying it down a flight of crowded subway stairs gets old FAST! So one winter day I dragged my husband to a local boutique baby store and made us try several carriers in hopes of narrowing our options. We liked three options, and we had already registered for the original Ergo carrier. Over time we ended up buying and trading our way through 4 carriers. My husband and I both used these extensively. Using the Kinderpack to wear the baby AND do laundry. SuperDad? We ended up purchasing the Kinderpack infant carrier by Kindercarry because I was having my son in the summer and I knew the Ergo’s infant insert was like a sleeping bag and way too hot for a NYC summer! The Kinderpack is great because you can purchase it with a mesh front where baby sits allowing for ventilation on hot days (see featured image). NYC summers can be brutal, and I am one of a few in this world who hates the heat. In addition, it’s design is highly customizable allowing you to convert it into an infant carrier and then gradually transition it to a toddler size. The Kinderpack straps also criss-cross in the back, which we have found is much more comfortable for us. In fact, the Kinderpack excels in this regard. It has straps that can be adjusted from various angles making it easy to get the perfect fit. Or, if you don’t like cross crossed straps you can wear it like a reversed backpack. My husband used to take our infant son out for walks at night and his only complaint was that while this carrier is hyper adjustable, he found that it was not always easy to adjust when he was by himself and unable to reach some of the back straps. Their design also allows the Kinderpack to be worn in a hip carry position and on your back with your little one looking over your shoulder. The one thing the Kinderpack does not offer is a forward facing front carry. Kindercarry is a small family run business and all carriers are hand sewn in Illinois by a handful of people. It feels great to support a small family business for something so convenient and well made as the Kinderpack. They also have carriers in a wide range of fun prints. Many of the prints appear to be limited, so if you see one you like it may not be available in 6 months. I give the Kinderpack 4 out of 5 stars. It really is an excellent carrier. It is very comfortable, lightweight and the mesh is a great feature. I just wish it had a forward facing/front carry option. We have only experimented with back carry a few times. Our son seems a little young for this, but perhaps as he gets older this position will fulfill the forward facing need. In fact, I think it’s time we try it again… hold on… [trying back-carry again] Okay, My husband just wore him around the house for 15 minutes and Jr seemed to like it, although I think he’s still a little too short and ended up watching a lot of my husband’s shoulders and neck. Very customizable straps for excellent comfort. Also supports hip and back carry positions. No need for accessories if you want to use it as an infant carrier. Not great for cold weather (if you purchase the mesh version). Doesn’t support a forward front carry. Now, I have raved about the Kinderpack because I think it is a fantastic carrier, but I will admit that I still used the Ergo Original a lot. I used the Ergo primarily through the winter. 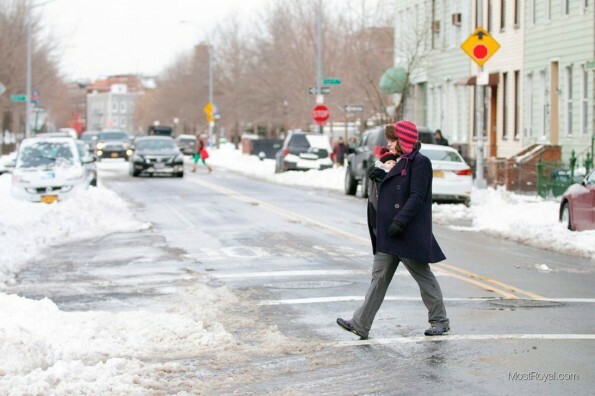 Since we bought the Kinderpack with mesh, it wasn’t great for the miserable NYC winter. The Ergo is a very comfortable carrier, provided you don’t require the straps to crisscross your back. The straps are very well padded, the weight distributes well, and it was cozy warm. The pocket on the front of the carrier allowed me to slide in a wallet or keys when I just needed to run to the grocery store, and the hood was great to pull up over my son’s head on cold days when he would fall asleep. All in all, the Ergo is a great carrier, and I am sure I will continue to use it, but we eventually purchased the Beco Gemini, which changed baby carrying for us in a big way. I give the Ergo Original 4 out of 5 stars. It is very comfortable, it was a great carrier through the winter, but it is a little warm for the summer months, especially with the infant insert. It would be nice if the straps could cross in the back and if a forward facing/front carry were an option, without having to upgrade to the Ergo 360. In retrospect, I wish we had registered for the 360 instead as it offers many of the features found in the Kinderpack and Beco Gemini [reviewed below]. Popular, so it’s easy to find this used or as a trade. Straps can only be worn in one position, like a reversed backpack. Requires an additional insert to carry an infant. In retrospect I wish we had registered for the Ergo 360 instead. Braving the winter cold! Using the Ergo with an additional fleece cover. 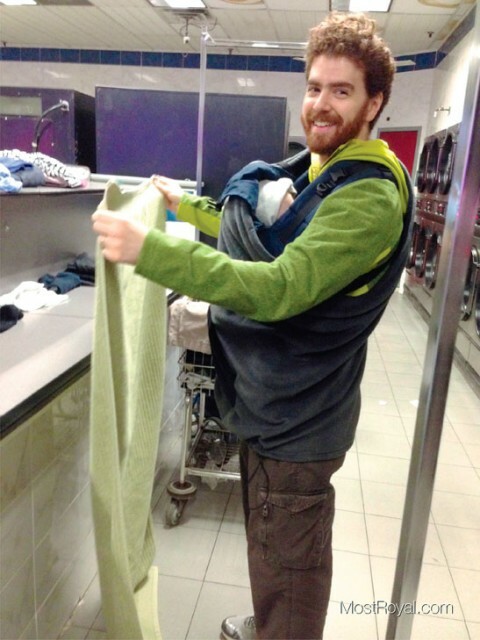 When we went to the boutique store to try out the carriers, I tried on and really liked the Didymos Didytai. It was lightweight, and a mix between a structured carrier and a wrap carrier. It was also comfortable. Keep in mind that I tried this with an 8 lb doll. Effective, but VERY different from a live squirming baby. Since there are no clicking buckles to struggle with, snaps in weird places or Velcro to scratch you, the result is a very natural feeling carrier that conforms to your body shape. A DidyTai allows for many tying variations including a front position, a hip carry and a baby backpack. It doesn’t allows for a forward facing carry. I purchased this wrap from another mother as it was out of my price range new. I gave this wrap a try on a number of occasions. I wore it through the neighborhood, into Manhattan, on long and short walks, and I realized as much as I liked the carrier, it just didn’t work for me. I needed more structure. The carrier constantly loosened on me and dropped too low. I could never keep it at the correct height and I was always concerned something was too loose. I still like the carrier and I think it would work for someone else. It is a great concept and I really do wish it would have worked for me. I give the Didymos DidyTai a 3 out of 5 stars for being a great concept, but it just didn’t fit me well. My husband wore this a few times. It’s definitely the most feminine of the carries we owned so keep that in mind if your husband is concerned about those types of things. Great for infants. Super snuggly! Comfortable. Because it’s a wrap the weight is distributed widely across your body. Can be a long process to put this on, especially if your kid is fighting it. Hard to to adjust once you have it on. Less structure than other carriers. 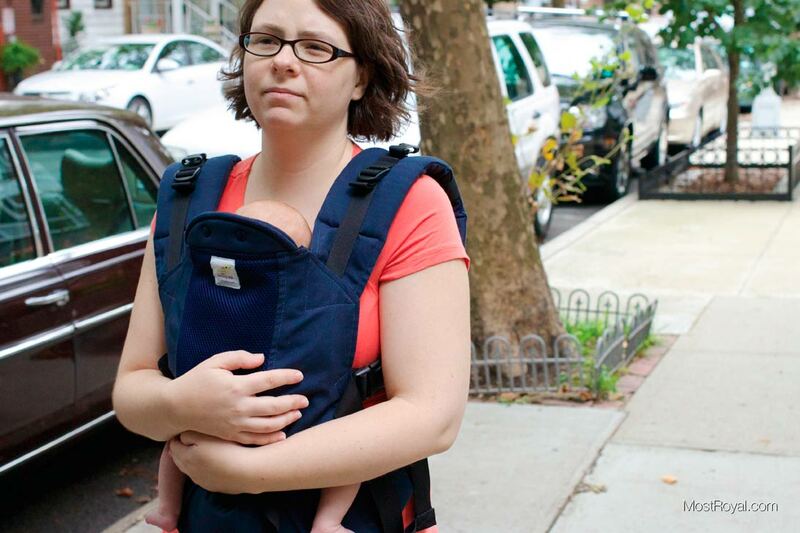 As I met other moms in the neighborhood and started to see all of the other carrying options, I began to see some of them wearing their little ones faced forward in the carrier. This is something that I knew my son would LOVE. Sadly, the Ergo Original and the Kinderpack did not allow for a forward faced carry. I was able to trade the Didymos Didytai with another mom for the Beco Gemini. I have to say, the minute my son was able to face forward, his mind was BLOWN. Walks and outings became exciting trips. He could see the world, not just my throat. He rarely if ever fusses when in it, and it is as comfortable for me as the KinderPack and Ergo. Now, that being said, facing him in again may not be an option. We will see once winter comes again and the cold wind picks up, but every time I try to face him in now he tends to fight it, or tries to turn or hang out of the carrier so that he can see out. I have tried back carry and hip carry both in the Beco Gemini and Kinderpack and those work fine as well, but nothing is the same as forward facing. Let’s talk about the straps. These can be worn Crisscrossed across your back or in the reverse backpack position. Each has it’s own benefit. The backpack style is very fast to put on and remove, although my husband never felt that this was as comfortable and secure as having the straps cross your back. The Beco Gemini also has buckle locks. Basically once you clip the straps together they have a third button your need to press in order to undo them. This has been a mixed bag. It’s nice having the extra safety, but taking this off can be a tricky feat of coordination until you get used to it. We can undo them one handed now. Once adjusted, this carrier stays in place and doesn’t drift or loosen. Yet, somehow, the Beco Gemini has proven to be super easy to adjust as you wear it. Sometimes we loosen it up if our son wants to squirm, other time we tighten for a snug feel. Loosen it again to sit down and then tighten when we get up to walk again. Loosen again to breastfeed, etc. Besides the option of forward facing, the ability to easily adjust the carrier while being worn is it’s killer feature. I give the Beco Gemini 5 out of 5 stars and our MostRoyal badge for being so versatile! My husband also prefers using the Beco to carry our son, even at a his heavy 14 month old weight. Allows for other carry positions such as facing in, back carry, side carry. Confortable. Straps are easy to adjust even after you have it on. Straps can be crisscrossed or worn backpack style. Extra safety locks on all belt clips. Fabric seems to get dirty easy (then again we use this the most). We’ve read some complaints that the leg gap becomes too narrow as kids get older. We are watching for this. Extra safety locks on all belt clips would be a bad option for anyone with finger joint mobility concerns. In conclusion, I would say that the Becco Gemini carrier has been our most versatile carrier. The forward facing feature made such a difference for us carrying our son around the city. The Kinderpack and Ergo come in a close second, and the Didytai was nice, but not for me. I would absolutely recommend trying on carriers before you make any decisions. If you have a baby who will cooperate, use them! If your little bundle of joy has yet to be born a weighted doll will suffice, so check to see if the store has one. Many do. If you are far into your pregnancy and have a belly to contend with, bring along your spouse or a friend who can also try the carrier on and give you their thoughts. Baby carrying is a great way to bond with your child, and if you’re living in a city and do a lot of walking like we do, it is the perfect mode of transportation.